We are in Athens every 4-6 weeks giving you the opportunity to get fitted for quality custom suits. We have thousands of 2ply cotton fabrics for custom shirts and can make any style. 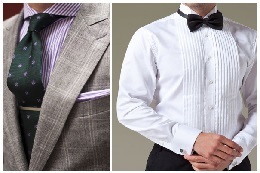 We make custom tuxedos for the groom, groom’s family and groomsmen. We will guide you with the fabric and cut decisions along the way. We can arrange for fittings for your groomsmen across the country as we will visit almost every major city in the World. We make custom sport coats for your smart casual work days and dates. If you are in the tech industry we have a special sport coat collection just for you. We make custom winter coats with the finest cashmere for the cold winter days. We make custom jeans from the finest Japanese selvedge denim in the world. We have both the light weight stretch denim and the traditional heavy denim worn by the labourers of the 18th century. We strive to make you the best custom shirts, custom sport coats, custom tuxedos, custom jeans, custom winter coats and custom suits in Athens. Make a private 1-1 appointment with us today. At the appointment we will get to know you, the colours you like, determine the best fit, go through fabrics and then get you measured. We look forward in making clothes for you soon.